The American Kennel Club, that venerable institution of purebreds and dog shows, just announced its membership survey of most popular breeds. Did your handsome little guy or sweet little girl at home make the list? Read on. They’re gentle with the family but tough on crime (they’re especially talented sniffer-outers). That—plus sleek coats in yellow, chocolate and black—explain why this is the AKC’s top dog for 27 years in a row. Forget any connotations with the Five-O, this breed is all love. 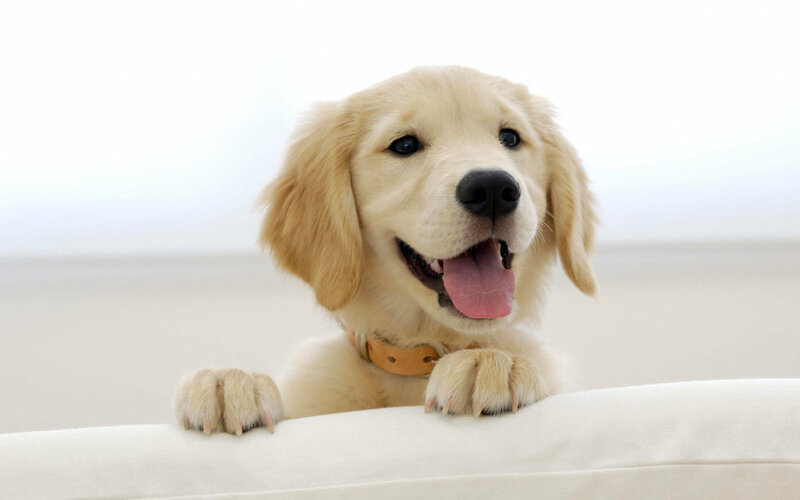 Maybe just give your mailman treats in advance to butter up your new puppy. Preppy as hell, this breed’s ancestors hail back to the gamekeepers on the estate of the Scottish Lord Tweedmouth. No wonder these dogs like to act silly, they must be remembering that name. America’s love affair with medium-sized dogs eases a bit now that the beagle has made the list. He’s a hare-hound at heart, so be sure to hold the leash tightly when you’re approaching the yard of that damn cat. The AKC wants to dispel “the old stereotype of poodles as a foofy velvet-pillow dogs looking down their long noses at us.” Fine. A solid working dog, these have a fancy history accompanying soldiers in ancient Rome. Today he still looks that imposing, but he’s great with kids and has been slowly climbing the ranks in the last decade. At around seven pounds, with a mass of flowing hair begging to be brushed into a top knot, the Yorkie is the American Doll of pets. These super-smart creatures are independent and love playing with children. Happy Lunar New Year, everyone! February 16th is the first day of the lunar new year, and this year is the Year of the Dog! Recent years of the Dog are: 1934, 1946, 1958, 1970, 1982, 1994, 2006, 2018. Women born in the Dog year are very cautious. They are indifferent towards people they don’t like, and don’t trust easily. But once they do, it’s permanent. They are intensely protective of their friends and family. They are genial and independent. They love outdoor activities and being in nature. However, they are also hard workers and don’t give up until they succeed. Security and a stable income are her requirements for a career. Spreading Love and Gratitude with Free Gifts, from Us to You! It is that happy time of the year again! Holiday season is upon us and we can't wait to share our joy with all of you guys! Thank you for your continuous love and support through the years. Without you, we won't be here. To express our gratitude and wish everyone a very happy holiday season, we are gifting you a Free Gift with Every Purchase from 11/15 to 12/15. (Free Gift is subject to availability and while stocks last.) Every week, we will have different Free Gift Choices. Happy holidays from all of us at Mochi & Jolie! Fly With Your Fur Kids? Which Airlines Are the Most Pet-friendly? We travel with our fur kids, a lot. Boss Mochi and Jolie have been flying high since they were little. Nowadays, it is much easier to fly with our four legged companions than ever before. These days, certain airlines don't just allow pets on planes, they encourage them. Whether your toy breed is a frequent flyer or your big one needs to make a one-time trip across country, seek out a pet-friendly airline when you're pricing your travel options. Note, though, that you'll need to stay abreast of each airline's rules and offerings all the way up until the time you leave. Many airlines offer options for pets to fly, but may restrict any number of pets, including short-nosed dog breeds or those traveling with flyers under age 18. Other airlines restrict times you can travel with a pet. American Airlines, for example, won't allow pets to fly on the airline when the forecasted temperature is above 85F at any location on the itinerary, while Alaska Airlines restricts pet travel on certain holidays.